Football Kenya Federation will from February 26, 2018, roll out the Basic/Advanced coaching course, in line with its long-term commitment to promoting football development at the grassroots level. The course, set to be held in six phases across the country, targets grassroots coaches who lack basic knowledge in coaching. The first phase is set to be held between February 26, 2018, and March 9, 2018, while the last phase of the course has been scheduled for between August 20 and August 31, 2018. Also in the pipeline is a goalkeeping course, set to be conducted by German UEFA Goalkeeper instructor Frank Thieltges. The course, scheduled for rollout on February 26, 2018, targets Kenyan Premier League, National Super League, and Women Premier League goalkeeper trainers. “We are committed to positively changing the game by ensuring that we provide quality education for our coaches,” said FKF Technical Director Andreas Spier. 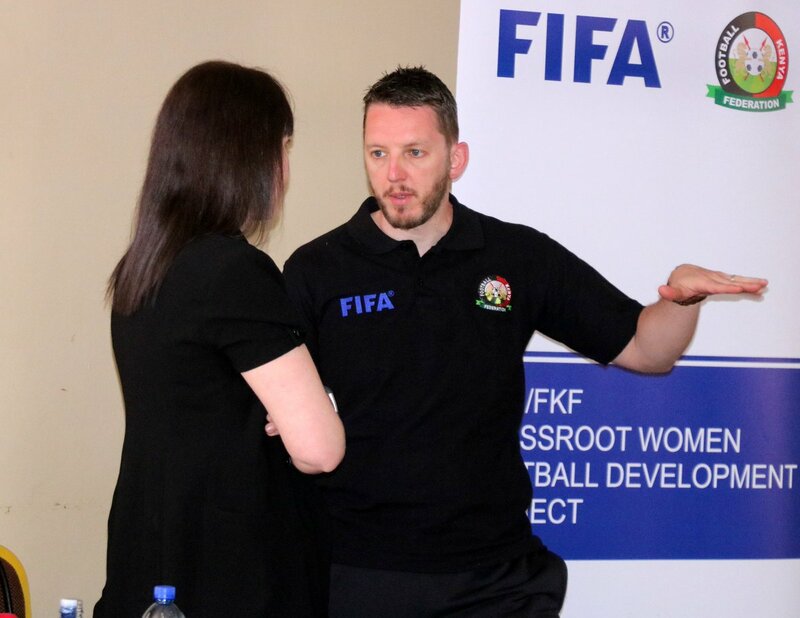 “It is our belief that the course will not only help build capacity but will also bridge a gap that has in the past denied local coaches job opportunities both home and abroad,” he added. The coach education initiative is one of the federation’s flagship project that aims to train 10,000 coaches in Basic/Advanced coaching, as well as create a pool of local coaches with CAF C, CAF B, and CAF A licenses within the next two years.